Design by d-park. 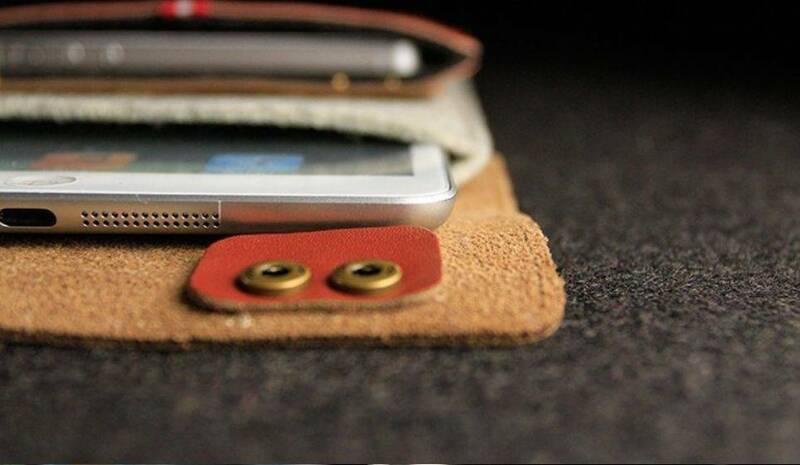 Innovative but high-quality natural materials. That's what you can expect from d-park. 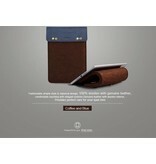 With this iPad mini sleeve your iPad will always be protected from scratches and bumps. 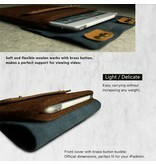 Finally, take it with you without fear everywhere you go. Your trusty Apple is of the latest technology but that does not mean you do not want to look stylish while carrying it. Cold metal covers are not your thing. You want to combine your sleeve with your look. 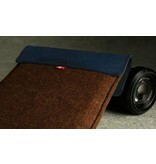 And why would you settle for anything less than real Wool and real leather? 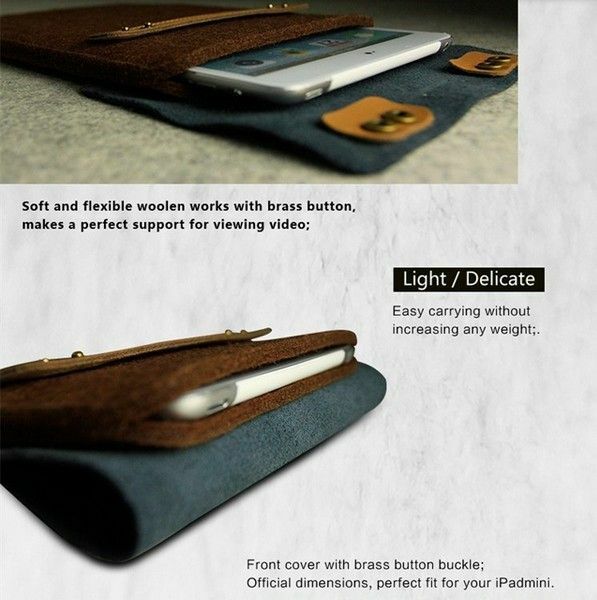 d-park has therefore developed this stylish sleeve for carrying your iPad mini. 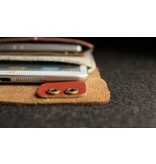 And the design does not stop at the quality wool sleeve, genuine leather cover and brass buttons down the front, it is also designed so that it can serve as a folded stand. 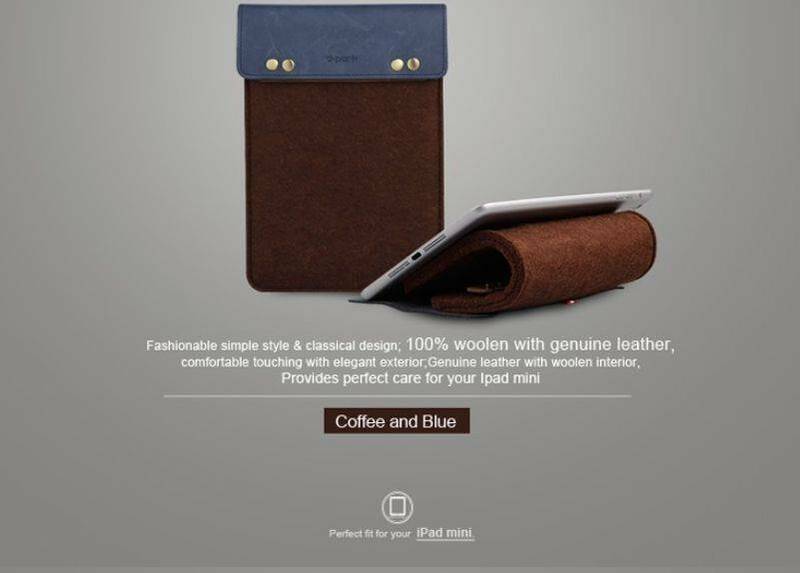 Do not hesitate and buy your d-park iPad Mini or 8 inch Tablet Cover now! Buy it now or place it in your cart and continue shopping for a complete look. 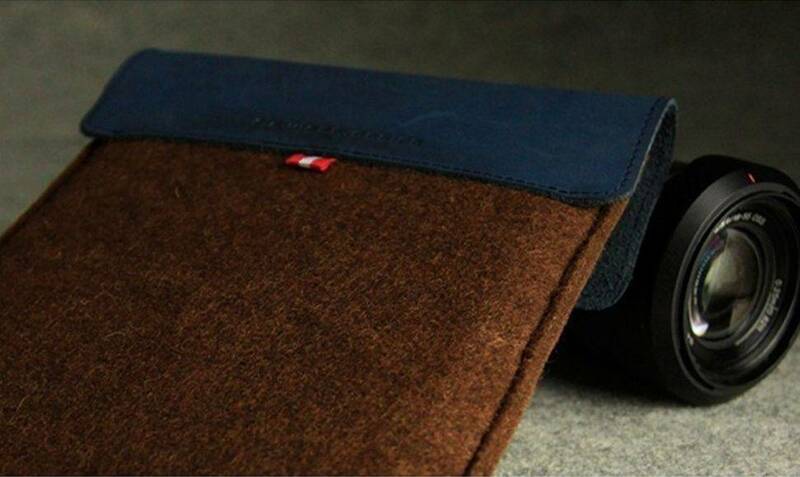 The Blue with Brown (Coffee) Look of the d-park iPad Mini Case makes it perfect to combine business style with your suit and blue shirt.